Our mission is to provide meaningful study abroad opportunities in Italy in the context of a biblical Christian community. Larry was born in Naples, Italy, to an Italian mom and an American dad. His dad served in the U.S. Navy so Larry spent about ten years of his early life in Italy. 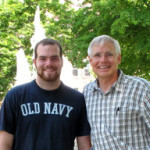 On his spiritual journey, Larry came to a crossroads during his junior year of college and made a decision to follow Jesus Christ; since then he hasn’t looked back. 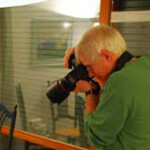 Larry’s hobbies include photography, a skill put to good use in Rome! 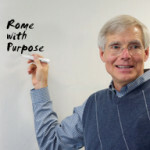 Larry is not only the director of Rome with Purpose but is also one of our study abroad professors, teaching Cultural Perspectives. 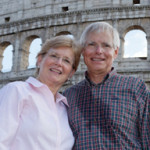 Larry and his wife, Debbie, worked as missionaries in Europe for 16 years (1999-2015) after living in Rhode Island for 19 years. Debbie spent most of her growing up years in Burkina Faso, West Africa, until she attended Columbia International University. She has published two cookbooks and has taught dozens of people how to make fresh pasta and grilled pizzas, among other dishes in cooking classes throughout Europe and in the States. 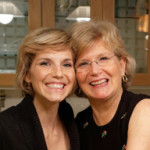 Debbie was seven years old when she decided to trust Christ as her Savior. She loves spending time with younger women–mentoring them not only about cooking, but about how to walk with God on a daily basis. 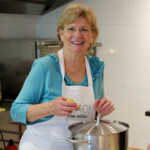 Debbie is not one of the study abroad professors but she does teach weekly cooking classes at Rome with Purpose and manages the day-to-day schedules for meals, laundry, and extra-curricular events. 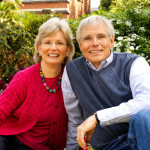 Debbie has been married to Larry since 1979 and they have two adult children. Get acquainted with the rest of our staff! We serve our students by providing an environment where they can achieve their highest scholastic goals through study and strong mentoring relationships with our study abroad professors. We seek to honor God by faithfulness, trust, gratitude, and stewardship. We strive for excellence and competence so that our students learn to think critically in a global context. We seek to lead by example, as our study abroad professors and staff live out our faith in today’s global and post-Christian culture. 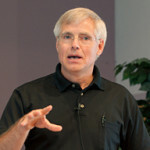 We navigate by our biblical values, integrity, conviction, and confidence. We seek to excel in relationships through our credibility, our perseverance, and our love.